Not too long ago, getting as-it-happens picture of your business, and managing data from remote places, was a challange. However, Remote Access capability – with no location and time limit to access business data – makes managing your business data – makes managing your business fast and convenient. Whereever you are, all you need is a computer with Tally.ERP9 installed. 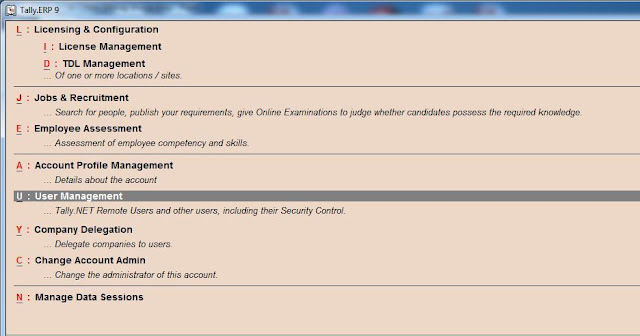 This is made possible by the Tally.Net framework which provides which provides a secure connection through trusted Remote Access. Tally.NET which does not store any data, uses advanced encryption to ensure that it is not accessible to anyone outside the system. In addition, you can access Support Center in Tally.ERP9 to connect with a Tally Experts or solution provider for any clarifications. To make use of Remote Access feature in Tally.ERP9, you just need a Tally.NET subscription, a computer with Tally.ERP9 and an Interest Connection. 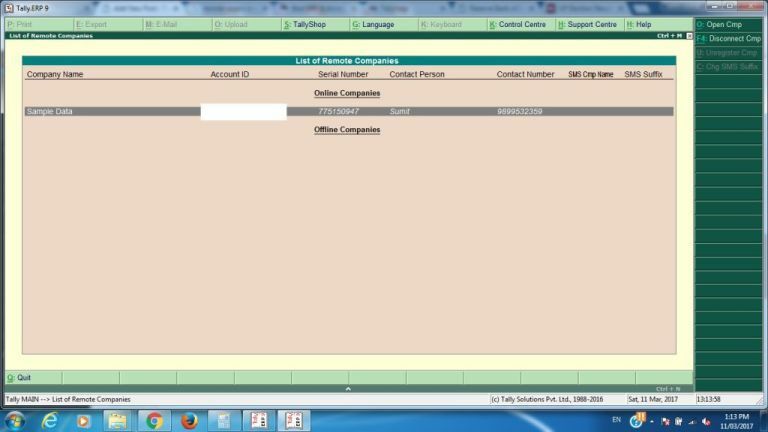 You can even use the Educational Version of Tally.ERP9 for remote access. Press “Ctrl+A” to accept the screen. 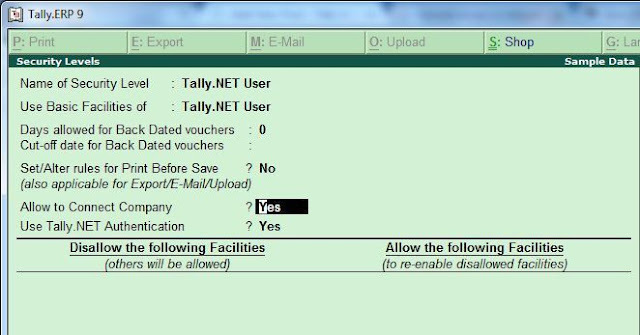 Press Alt+U or Enter for User Management, Select Owner as your primary email id, Select yes to Tally.Net User. Again in 2nd Row Select owner enter secondary email id (on which you want to see the data online), Select yes to Tally.Net User & Press Ctrl+A to Save. Now press Alt+F3 on your Gateway of Tally. Go to Security Control - Type of Security - Tally.Net User, Select yes to “Allow to Connect Company” and save. Now Open Educational Version of Tally.ERP9 on any other system. Press Alt+L or Login as Remote Tally.Net User with your primary email id, after successful login you can see List of Remote Companies with Company Name (which company you want to Remote Access), Account ID & Serial Number and Contact name of the person who share the remote access to you. Now its all done. 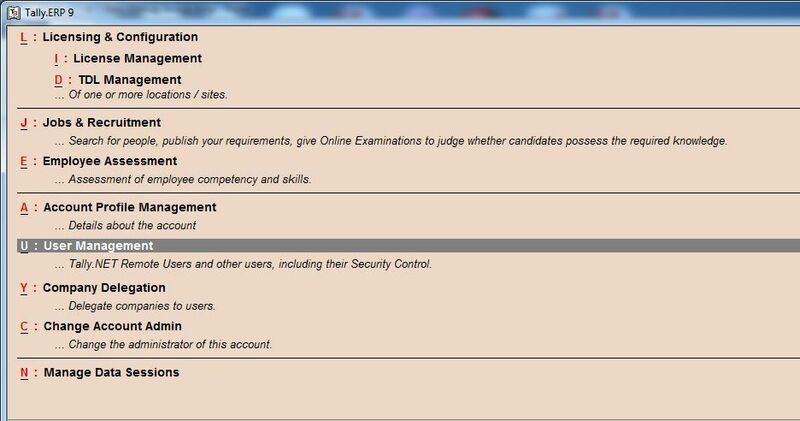 You can see the data in your education version with all the features of a registered Tally User.